With the abundance of software available for download online, we understand your need for more information regarding the DriverFinder download. 1. What are you downloading exactly when you download DriverFinder? When you download DriverFinder, you are downloading an EXECUTABLE file called dfetup.exe. Once downloaded, you can use this file to install DriverFinder so that it can run on your PC. During installation, you can quit at any time if you decide not to proceed with installing DriverFinder. Further, our End User License Agreement (EULA) is presented at the very start of the installation, allowing you to choose to continue with the installation or not. Click here to download DriverFinder. 2. What is the primary purpose of DriverFinder? DriverFinder is a simple application. It's main purpose is to provide you with the latest versions of device drivers that your PC needs to optimally run devices connected to it. 3. How does DriverFinder work? By clicking a Start Scan button inside the program, DriverFinder will check what PC drivers are installed on your PC. It will also check for any corrupt device drivers you may have installed or any missing drivers that you need. After establishing this 'baseline', it will then check our proprietary - and daily updated – driver database to look for updates. If newer drivers than what you have are present it will make driver update recommendations. If you want to get the new drivers recommended, you would need to register for the full version of DriverFinder. 4. What is the "DriverFinder: Basic Version-Free Driver Scan" mean? When you click Download Now on this site, you are downloading the 'basic version' of DriverFinder. With this version, you can: (1) install DriverFinder on your PC, (2) run a driver scan on your computer, and (3) see recommended driver updates (i.e., a list of newer drivers than what you currently have installed on your PC). With the basic version, you cannot download these driver update recommendations yet. 5. What is the "DriverFinder: Full Feature Version' mean? To download driver update recommendations, you need to register for the 'full feature version' of DriverFinder. Registration requires a ONE-TIME low fee of 29.95 for a year's access on up to 3 PC's. There's absolutely no recurring billing whatsoever. After registration, you will be able to download and install new and updated drivers for your system. Click here for more information on how to use DriverFinder. 6. DriverFinder: simple and easy un-installation. DriverFinder applies a ‘no fuss’ approach to uninstallation. In fact you can remove it in just four measly steps. 7. Why you can TRUST DriverFinder. First of all, note that DeskToolsSoft, the makers of DriverFinder, use a digital code signing certificate (via Comodo) to protect the integrity of the DriverFinder download. This ensures that the DriverFinder download you get originates from DeskToolsSoft and nowhere else. That is, it has not been tampered with whatsoever by other sources. Further, the DriverFinder application itself is run through MULTIPLE anti-virus scanners to ensure that it is completely virus- and malware-free. 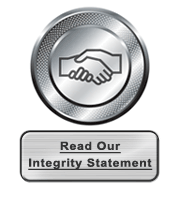 Click here to read our Integrity Statement. Click here to view Industry Awards bestowed by 3rd party sites and companies. Click here to view our Compatible with the latest Windows® 7 versions at the Microsoft website. 8. DriverFinder: what you see is what you get. Unlike other tools, we don’t dilute the purpose of our software by tying it with other programs. At no time are you presented with ads and offers for other software when you’re using DriverFinder. The way we see it, you have a PC issue and you want to know if you need a new driver to fix it. Period. So, DriverFinder scans your PC and checks for new drivers for it. Period.